Add your friend's details to the box below and a new account will be created for them with a free ticket to Saturday Afternoon Movie: Mr Turner. Join Ben for a Saturday afternoon trip to the movies - then pop into a nearby pub to exchange thoughts. 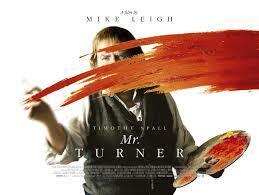 This award winning biographical film about British artist J. M. W. Turner has received 5* reviews and is not one to be missed.